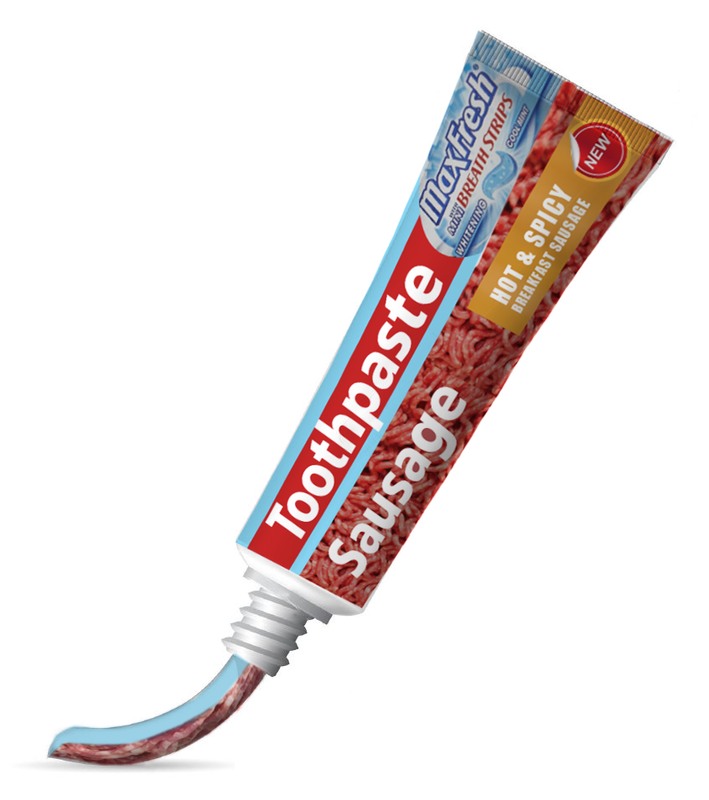 We’re cracking a big, sparkling smile today as we announce the launch of the BriteBite™ line of edible, nutritious toothpastes. Recently backed by $20M in Series A funding after successfully demonstrating tooth-stomach fit, BriteBite powers a revolution in efficiency and productivity. No longer will today’s mobile and always-on knowledge worker bother with tradeoffs or time crunches: BriteBite lets us practice an evolved and mindful level of personal hygiene while simultaneously supplying a delicious, whole-protein, paleo-approved meal portion tailored perfectly to the most refined palettes. The user experience couldn’t be more optimized: simply apply, brush, and swallow. In no more than 60 seconds the ever-present threats of cavities and malnutrition are both simply brushed away. Our advisory board of celebrity chefs, teamed with leading-edge dental technicians and nutritionists, have turned once-tedious chores into refreshing, satisfying sensory events—enjoyable morning, noon, and night. This truly is Life 2.0. BriteBite will begin fulfilling pre-orders early this summer. Pricing TBA. Wholesale inquiries welcome.